Some useful information about army engineers and their role in the military. The United States Army is considered to be the largest branch of the US Armed Forces. It was created in 1784 after the disbandment of the Continental Army. The army is headed by a senior civil servant. It has a combined strength of over 990,000 soldiers who are tasked with performing land-based military operations. The soldiers have been engaged in numerous military campaigns around the world notable being in Vietnam, Somalia, Iraq and Afghanistan. The army played a major role in the war against terror which was initiated by President Bush in response to the 9/11 attacks. This branch of the United States Armed Forces continues to work with the other branches of the military. This ensures that foreign enemies of the United States are prevented from attacking the homeland and its foreign installations. Within the army, there are service men and women who offer specialized skills. Examples of these service men and women are army engineers, doctors, chefs, chaplains among others. Army engineers play an important part in the army and currently they have their own custom military rings. Let us look at exactly what army engineers do. Engineering is considered as one of the Military Occupation Specialty (MOS). An army engineer, otherwise referred to as a combat engineer is tasked with duties that include aiding mobility for ground troops. Tasks would be constructing bridges and the demolition of obstacles. Setting up and detonating explosives meant to paralyze the enemy and detecting IEDs are also included. The functions of the combat engineer are tailored to support infantry missions all over the world. The service provided and sacrifices made by the soldiers in the US Army are often underappreciated. The government often rewards them with medals of honor to celebrate their gallantry. However, much still needs to be done. As civilians, we at least know one or two members of the US military who are either in our families, our circle of friends or friends of friends. Your appreciation for the services that these men and women provide can be shown designing personalized army gifts. A thoughtful military gift will go a long way in expressing your appreciation. It doesn’t have to be outrageously expensive, but it has to be designed correctly. When it comes to choosing a thoughtful gift for an army engineer or any other soldier, a military ring sounds like a pretty good idea. 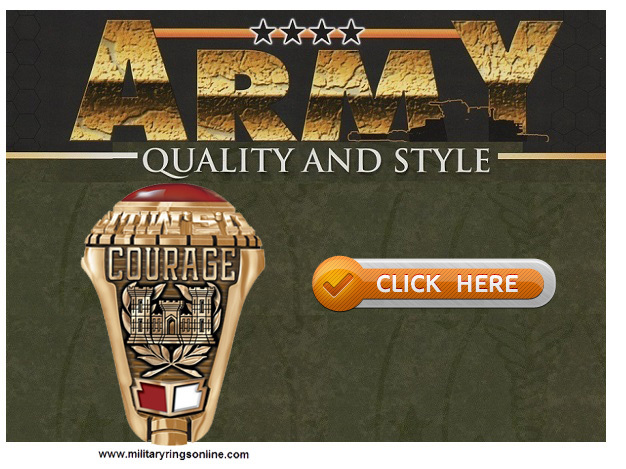 Custom army rings are a nice choice, because they can be customized to showcase the branch of the armed forces. Rings and deployment swords can be dated to display a service record. Service men and women are very proud of their service and they would readily appreciate such a gift which they would later on pass it down their families as heirlooms for future generations. These rings can be purchased in a wide range of materials and can also be designed using the finest gems and stones. You can also make a special request to have engravings added to bring about a sense of customization. The rings can also have symbols that show their deployments. Rest assured such a gift will go a long way in sounding and reiterating your appreciation for the service offered by these gallant soldiers.